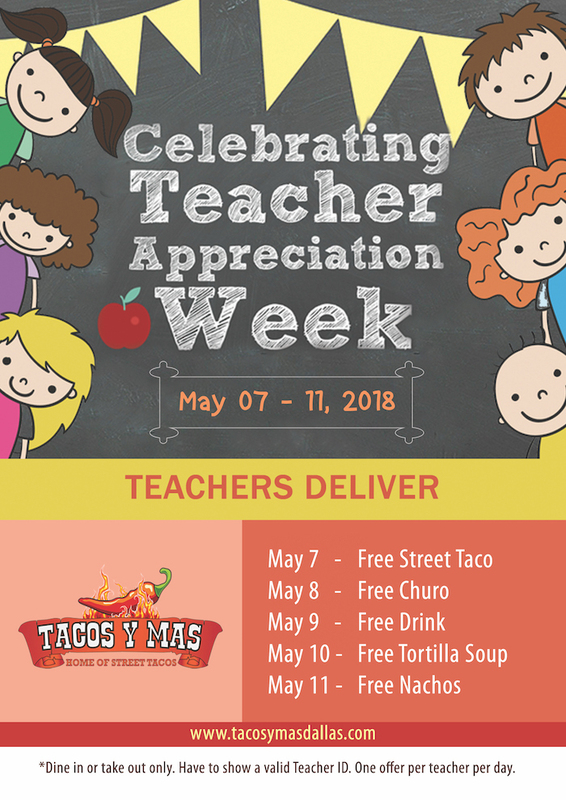 Teacher Appreciation Week is May 7–12, and, to celebrate, multiple Dallas businesses and restaurants are offering special discounts to our tireless classroom educators. 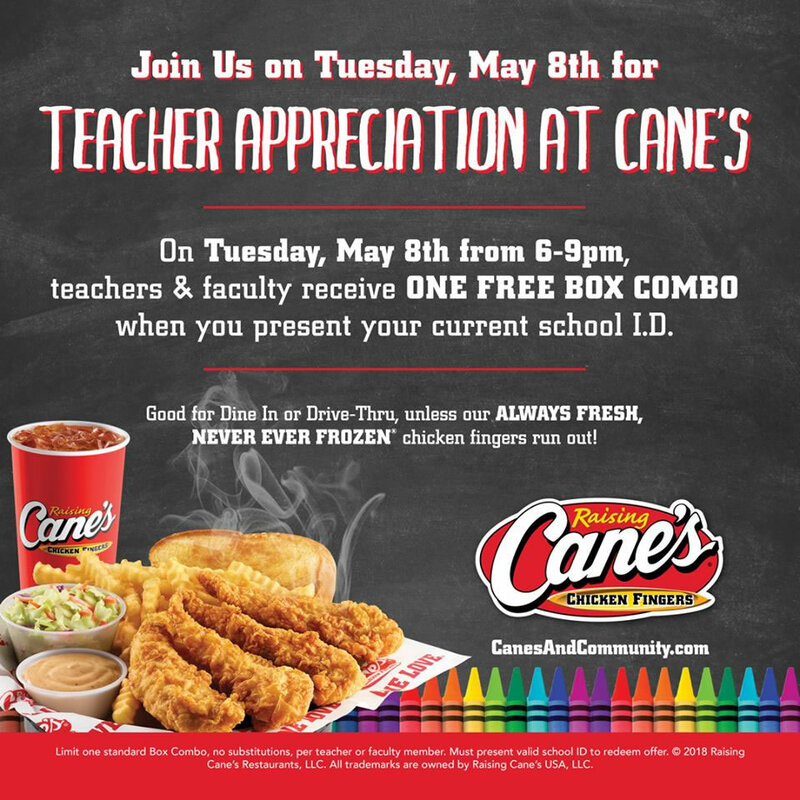 Teachers who show their ID can receive a free box combo on Tuesday from 6–9 p.m.
Teachers, faculty and staff who stop by Chipotle with their faculty ID on Tuesday from 3 p.m.–close can get a buy-one/get-one-free burrito, bowl, salad or order of tacos. The deal is only valid in-restaurant. 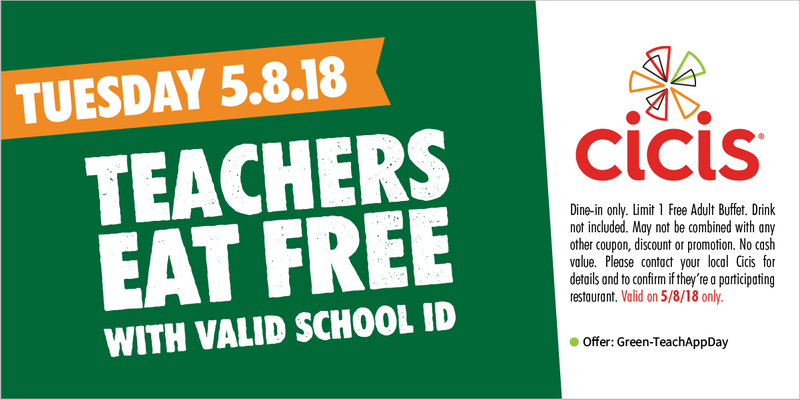 Teachers with a valid ID can enjoy a free buffet at Cicis on Tuesday. Get the coupon here. 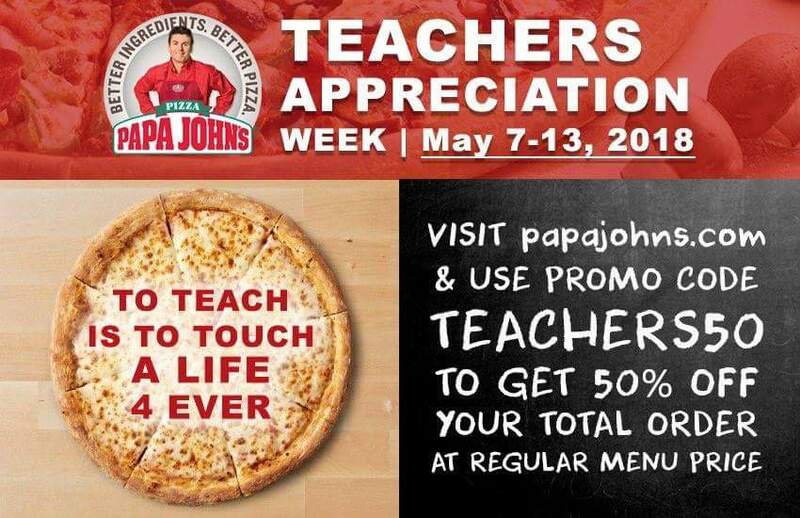 Teachers can receive 50 percent of their total orders at any participating Papa John’s, online or in-store, May 7-13. Use promo code “teachers50” with to receive the discount on full-price menu items. See the flyer here. 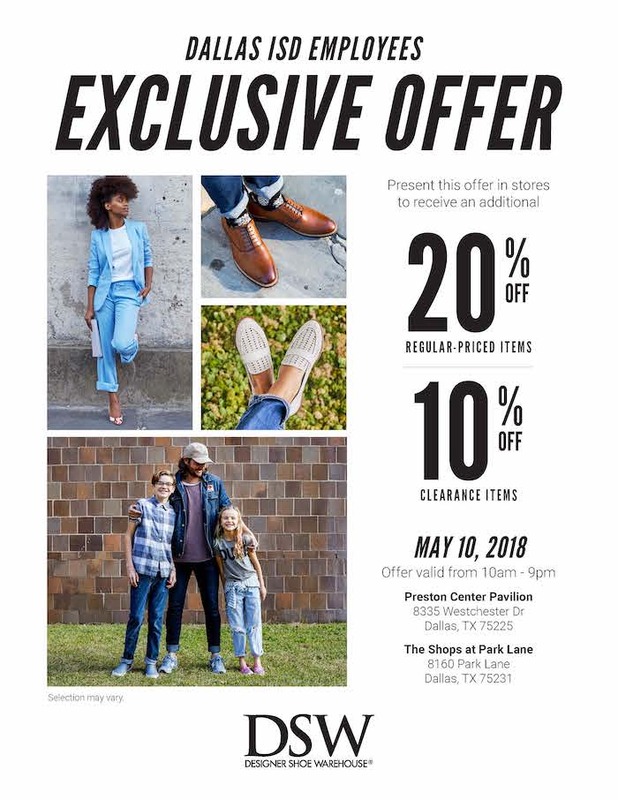 Designer Shoe Warehouse is offering Dallas ISD employees 20-percent off regular priced items and 10-percent off clearance items on Thursday, May 10 from 10 a.m.–9 p.m. DSW has locations at the Preston Center Pavilion, 9335 Westchester Drive, and The Shops at Park Lane, 8160 Park Lane. See the flyer here. In honor of teacher appreciation week, Snuffers is offering all teachers 15 percent off their meals from May 7-11. Go here to see a list of Snuffers locations. JCPenney is offering Dallas ISD teachers and staff a re-usable discount card redeemable in-store or online. All district employees are welcome to use the coupon available through the staff email announcement. The coupon is valid through July 31. Email thehub@dallasisd.org to add any other deals to this list!